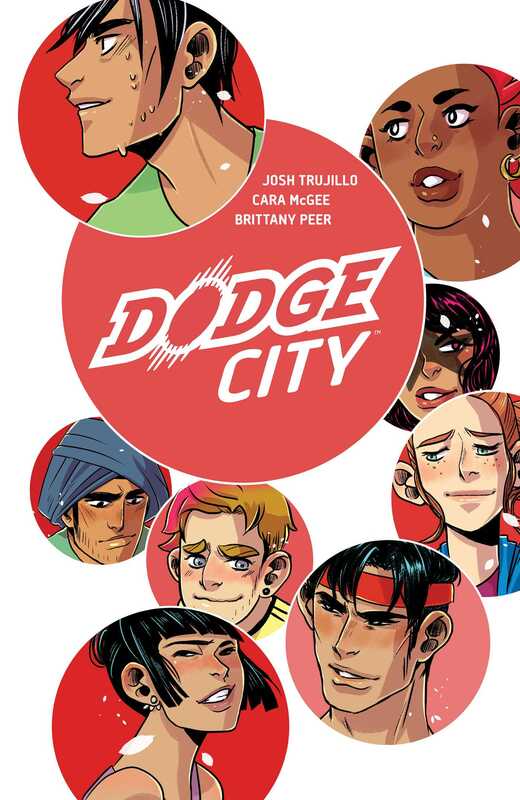 Dodge City is a YA sports comedy about making sense of a chaotic world and growing up against the insane backdrop of competitive dodgeball, told through the eyes of oddball Tomás and his teammates. Life comes at you fast, but dodgeballs come way faster! Tomás is a teenage misfit, but when he joins the Jazz Pandas dodgeball team, he's thrown into a family of oddballs and outcasts who are willing to do whatever it takes to win the summer regional dodgeball championships. Through a season of highs, lows, and blows to the face, Tomás might finally find a place where he truly belongs, and the person inside himself he didn't know he could be. From writer Josh Trujillo (Adventure Time: Brain Robbers) and artist Cara McGee (Over the Garden Wall), comes a comic that packs a punch and a whole lot of heart!